There are a wide variety of breast cancer treatment options available today. However, no two women ever respond exactly the same way to treatment. Depending on the stage of the cancer and its scope, doctors will help their patients to make a decision about what is most wise for their case. In some cases, a combination of the following options may be needed for effective treatment of breast cancer. Commonly known as mastectomy, surgery to remove the breast is actually the most common form of breast cancer treatment. In some cases, it is possible for doctors to perform breast-sparing surgery, which involves simply the removal of the cancer, as opposed to the entire breast. Sometimes it is also necessary to remove some or most of the lymph nodes, as well. The type of surgery performed will depend largely on the severity of the cancer. 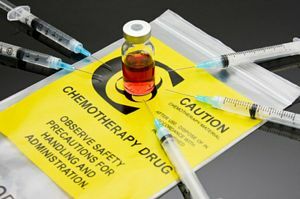 One of the most well-known breast cancer treatment options, chemotherapy can either be administered intravenously or via a pill. In either form, the medication is used to kill cancer cells. While taking chemotherapy some patients must remain in the hospital. Others may be able to take chemo as an outpatient, or even at home. This form of cancer treatment involves the use of high-energy radioactive waves to kill cancer cells. Typically, this type of external radiation is used; however, in some cases a doctor may prescribe an internal version. Internal radiation involves the insertion of small tubes into the breast, via incision, which will temporarily insert a radioactive substance. Following treatment there is no residual radioactivity left in the body. Also called anti-hormone treatment, this therapy may be utilized if the tumor has hormone receptors. The treatment involves stopping the flow of estrogen and progesterone hormones that the tumor needs to grow. This is generally accomplished through prescription medications. Some women with breast cancer are given drugs that are intended to block the growth of breast cancer cells. This form of treatment is known as targeted therapy. The type of medication used will depend upon the source of the tumor's growth. If, for example, an abnormal protein is causing the growth, medication can be given to target and block the protein's interaction with the tumor. While none of these breast cancer treatment options may sound particularly pleasant, they all have a history of success in treating breast cancer. 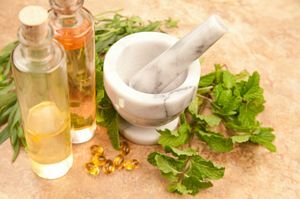 When you are interested in learning more about your options, or how to treat cancer naturally, take a look at Cancer Fighting Strategies. This site is designed for people who desire to educate themselves about how they can actively battle cancer. CancerFightingStrategies.com can help you win!